The answer to the age old question of “How much should we spend on production vs. media on this creative campaign?” is no longer as black and white as it used to be. Twenty years ago, advertising options were narrow, relegated primarily to TV commercials or print advertising. The standard budget split was 20% on production and 80% on media, with little deviation, given the high cost of traditional advertising media. However, over the past several years there’s been a dramatic shift in media focus from the offline world to the online world as digital channels have evolved. Digital options -- both on desktop and mobile -- are playing a bigger role in campaign planning. This shift has altered the way brand managers think about media vs. production budgets. TV production and print contracts continue to be a large part of advertising budgets, but, along with that, advertisers have to find a way to garner the attention of the masses that interact with the digital world each day. Balancing the “instant gratification” and mobility desires of younger generations against the needs of older users who are now interacting with the web more frequently can pose a challenge. Luckily, the digital space offers a variety of avenues to target different audiences, something the one-sided TV or print ad could never do. Blogs, videos, microsites, web magazines, banner ads, and social media give brand managers ample opportunity to test effectiveness and and maximize ROI. Another advantage is that many of these digital channels, if used efficiently, and tested and optimized well, can be less costly than traditional advertising. 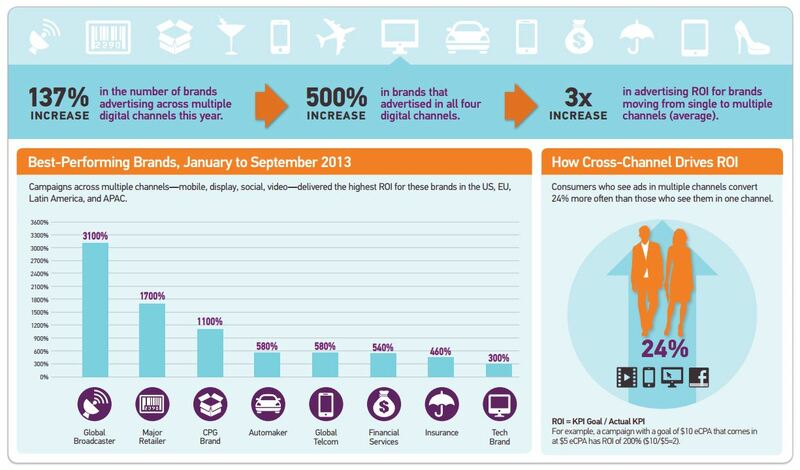 Moving into digital advertising allows brand managers to shift their budgets to web and mobile campaign production -- building custom applications, fine-tuning creative details, and responding to ever-changing mobile design trends, all of which are key to ensuring a digital campaign appeals to and functions for the audiences that are sought after with the media spends. Creatives can rejoice! The key insight here is that there is no standard on how to how to split production and media dollars, especially when it comes to digital. The marketing mix has changed drastically over the past twenty, ten, and five years—even over this past year. Regardless of how much you have to spend, it’s critical to develop a coherent strategy for any creative campaign that includes: 1) establishing how digital vs. traditional media will play into your creative executions; 2) determining your production needs; and 3) identifying an initial advertising (and testing!) strategy. Only then will you be on the right path to successfully splitting your dollars between production and media. If you have any thoughts on how to approach the media vs. production split in today's advertising world, please share!